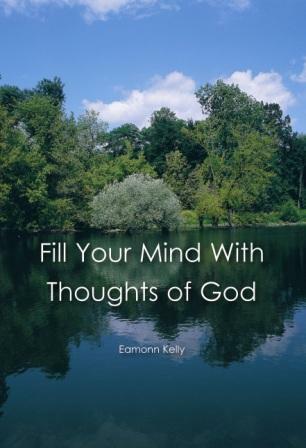 In 'FILL YOUR MIND WITH THOUGHTS OF GOD' we hope that you find a little help in coming to know and experience your reality more closely. God is already very much present in our personal situations but it is us who pretend that things are not as they are. Jesus continually draws us to realise the nearness of God in our kitchens, shopping centres, valleys and plains. The Son of God already knows the joy, sorrow, mess and gladness of the lives that we are living. It is time for us to let the living presence of God touch and heal what we experience. A book of wonderful, uplifting personal prayers and reflections on everyday life by Fr. Eamonn Kelly.